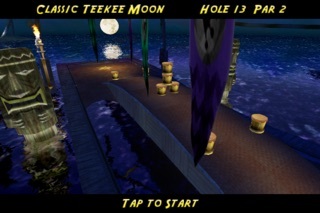 The most realistic golf experience on the iPhone and iPod touch is now available as a free version where you can enjoy the beautiful sceneries, test your mini-golf playing skills and meet people from all over the world in the unique online mode. 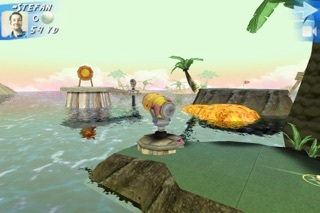 Adrenaline Golf is the first 3D game using the OpenGL shader graphic powers in iPhone4, iPhone 3GS and iPod 3G and 4G, and event runs super-fluid on first gen iPhone and iPod. 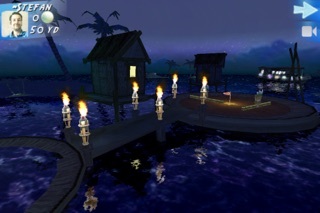 The game has been featured by Apple in many countries. Play beautiful courses in 3 different game modes that never get boring. Play golf online with players from around the world, capture stars and send them to the opponents to make their life harder. 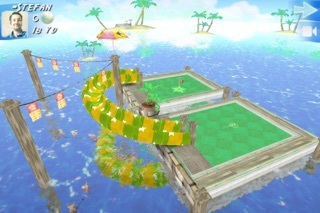 Adrenaline Golf is pure fun and will keep you busy for a long time. It's easy to learn, but very challenging especially in online mode. Recommended for everyone who likes sports games, especially pool and mini golf. This game requires internet (both WiFi and Edge/3G are supported). Important: if you lost something with the update to iOS7 then please use the in-game feedback so that we can help you!